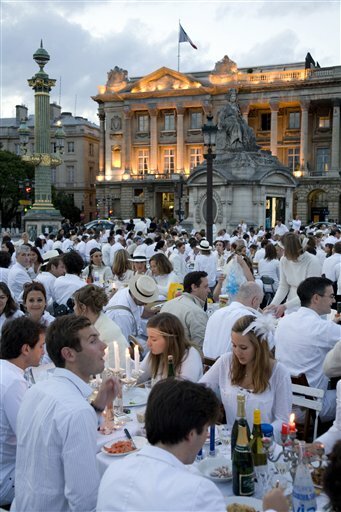 What if you were invited to a magnificent dinner, to occur in a prestigious location in Paris, sworn to only wear white, but had no idea when or where you would be feasting? Let's add more mystery to the equation... you would be told a mere 15 minutes before the event and would bring your own delicious food, preferably white, along with champagne, white wine and your own table and setting to dine? Well, if you lived in Paris, you could be privy to an elite guest list for their infamous Diner en Blanc (White Dinner)... France's annual summer-evening event kept secret from authorities and the invited participants until minutes before via text, Twitter and when they board the coaches at various meeting points. A mythical place in the city magically becomes black and white! Paris akin with lifestyle and aesthetic pleasures, this secret dinner of anonymous friends has become an institution in France. Even with the 10,000 people attending it isn't easy to get invited to this private event. You must know someone who is organizing a section at it, and they can each only invite 10 people. For an event of this magnitude, the organizers need to be extremely prepared, including maps of where they are supposed to set up, and all the tables are put down in long rows. 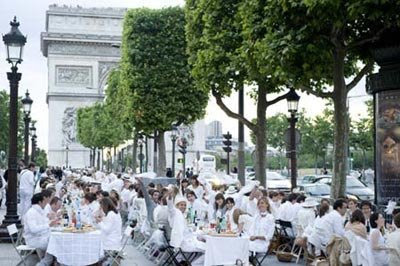 Attendees dress completely in white meeting in slightly hidden areas of Paris (in parking garages, in galleries, etc). 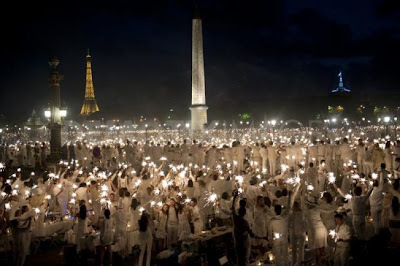 On June 11, 2009, within 15 minutes there were 10,000 people in white sitting down to a white dinner at Place de la Concorde! What a truly an amazing site! After dinner, exactly at 11pm, everyone lit sparklers at the same time and waved them about. Bands and DJs started to play music thereafter and the night continued as a magnificent summer delight! As police officers drove by bleating their sirens, in response, everyone stood up on their chairs and began to cheer and spin their napkins in the air above them in haughty defiance. Leave it to the French! **UPDATE... My question is answered... Thank you Pat! Just yesterday, dinner was enjoyed at Carousel du Louvre... watch the YouTube video! 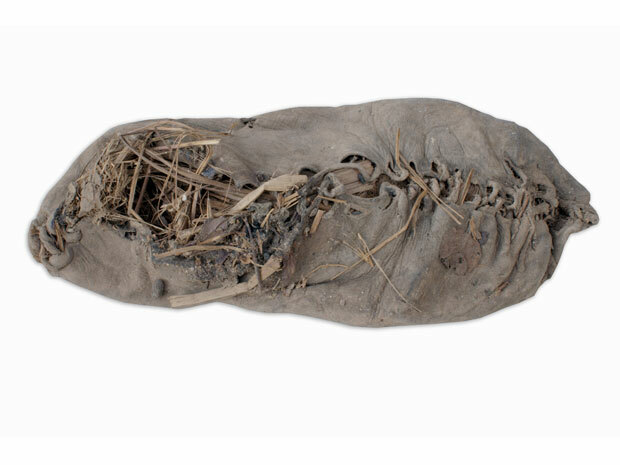 Just one look at this perfectly preserved sample of early fashion, and I remember the shoe design class I took in sophomore year. 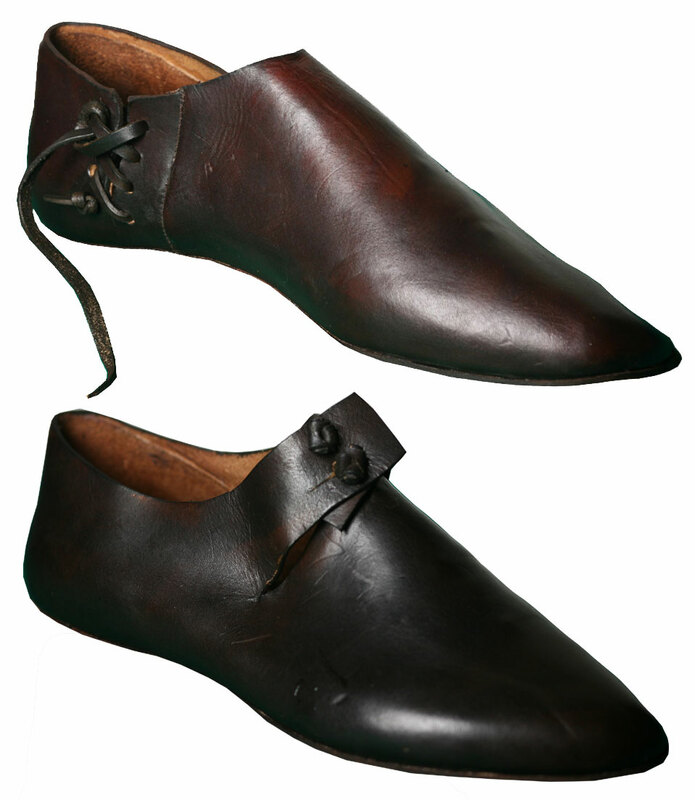 For my final semester project, I made a pair of flat shoes, quite comparable to this one. They were textured white leather with lacing and wood buttons. I cut them to fit my feet and sewed them by hand. 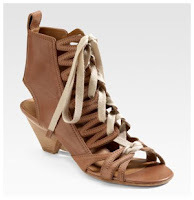 Hmmm, I wonder if my mother still has them in my old closet... 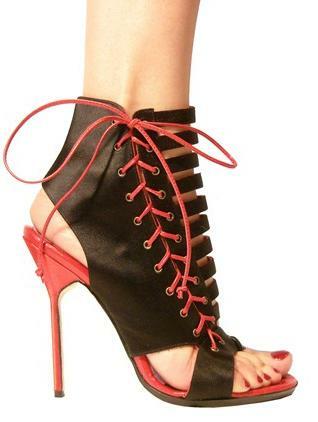 I even cut small heels to adhere to the bottom. The whole process was so fascinating yet really basic. 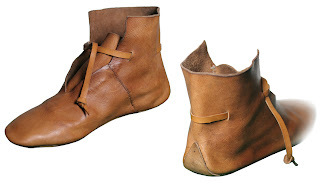 Learning about the fit of a shoe is an art in and of itself. Continuing through historical archives, it is obvious the Vikings and Medieval times have heralded similar specimens in their simplicity and charm. Stepping into today's footwear, shoes have certainly made major strides. Marc Jacobs, Manolo Blahnik and even the late Alexander McQueen are just a few designers taking shoe-making to new heights. Prehistoric lace-up details married with new age stilettos and wedges produce the high stepping fashion of the future.